I would call or write the company. Telling them its a lie and it's not 100% accurate. Better to just call and say a piece is missing. Time to like and follow the photographers FB page! I saw that picture and totally knew that would happen. Wrongfun! Wrongfun! Warning warning! SJW’s assemble! Lip, Admin and KBCraig like this. A Christmas story is a cautionary tale and why everyone always says “you’ll shoot your eye out” the irony being it was an icicle that hit his face.....very similar to my first hk21e belt dump last winter. Lip and AHM like this. No, it was a ricochet of a BB that hit him ... he told his mother that it was an icicle. mwalsh9152 and AHM like this. ...............................as they go back to watching the "Die Hard" movie or playing "Game of Thrones" or any one of many thousands of entertaining distractions that utilize weapons of every kind. These people are hypocrites, plain and simple. Most adorable photo ever and the pc crown may partake of the peanuts in my poo. dingbat and Maninblue1861 like this. Anything that upsets the whacko lefties is a good thing in my book. My younger son has been turning objects into guns since he could walk. You can't deny nature. lol at the baby chilling during the interview. So glad the mom and photographer are not intimidated by the nutcases. This is where she got the mini shotgun, the guy is a woodworker. I stand corrected... guess its been awhile since i watched it.. good catch. It doesn't even have a compass in the stock and this thing that tells time. She has a sense of humor. This was posted this afternoon. 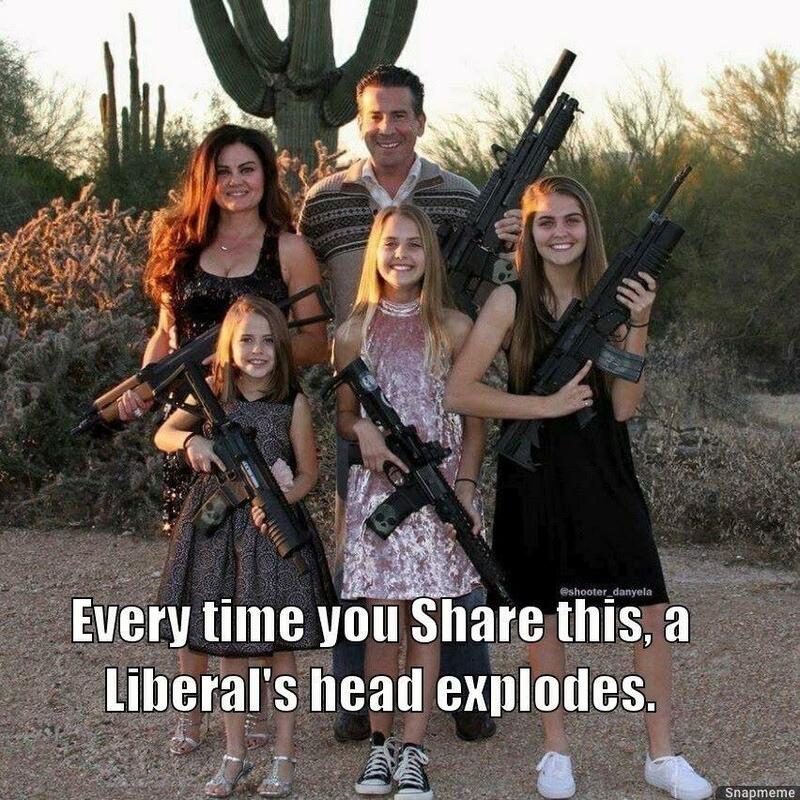 I don't have a problem with the gun but the picture is kinda creepy. Looks like something Celine Dion would approve of. And we're supposed to believe that a mom who dresses her baby boy in a pink rabbit costume is going to let him have a BB gun someday. Character pictures with babies are weird, if they grow up to be furries or whatever they can take character pictures then. 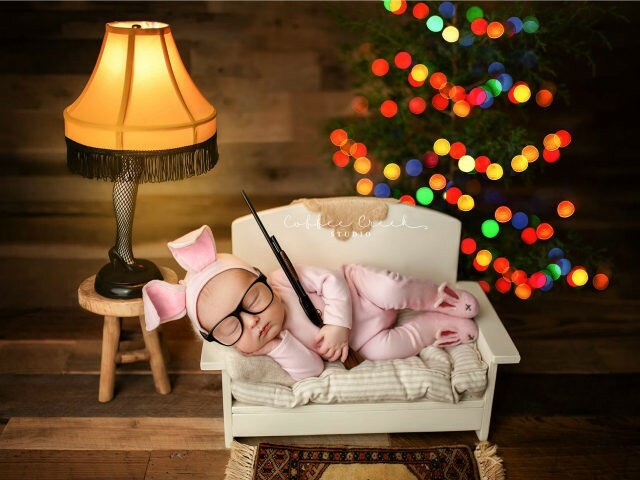 Have you not seen a Christmas Story? Forgot that scene. Still think character pictures of babies are creepy. That’s a good movie. Shows a child with imagination which is sadly lacking in today’s society.